Every moment is special to express love but if you have been waiting for the right time to say “I Love You” then here is your chance to do it in the most luxurious style. This Valentine’s Day allow time to express your heart’s truest desire with love-themed timepieces. Flowers and chocolates will not last long and even jewelry will find its way in to the jewelry box. However a watch can be worn every single day and will be cherished every moment as well as assure timeless loved-filled memories. Take a look at the glamorous watches for the special lady. To celebrate Valentine’s Day, Jaeger-LeCoultre has designed a collection of double straps in powdered and deep shades whose clasps can conceal a secret engraving, compatible with the Rendez-Vous Night & Day 29mm, Reverso Dame and the Reverso Duetto watches. 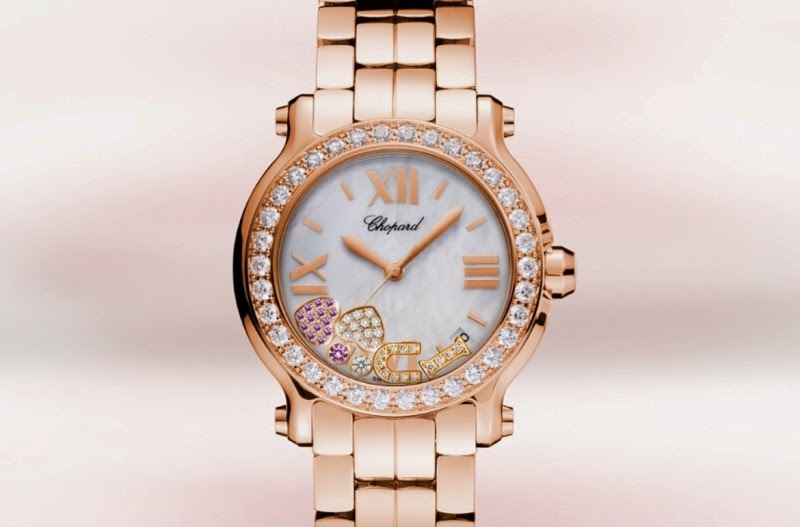 Play Cupid with Chopard Happy Sport Medium watch. The 18-carat rose gold is a unique blend of watchmaking refinement and bejeweled delight. A personal touch can be added by choosing the kind of case, dial, bracelet and also pick the free moving elements that say ‘I ♥ U’ in the most dazzling manner. 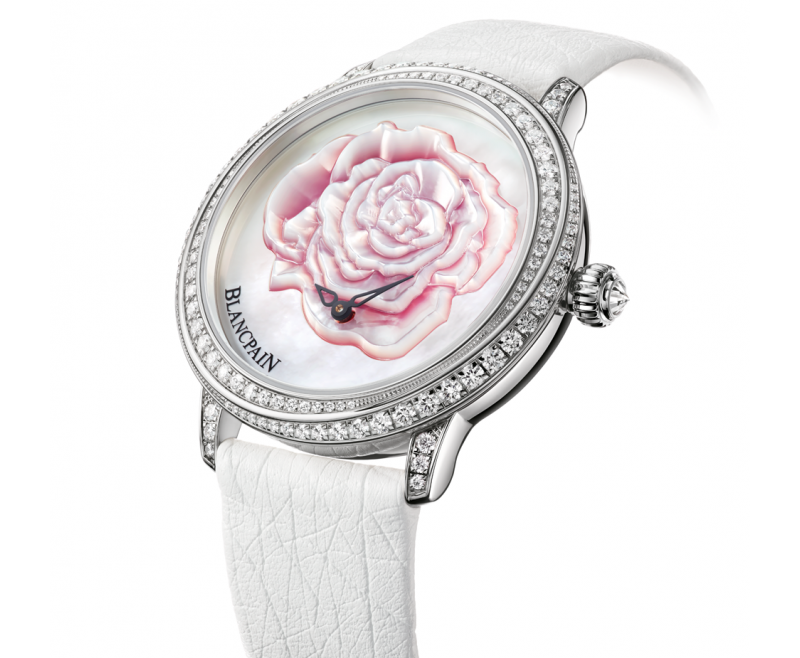 Say it with a rose too as Blancpain Saint Valentine’s 2015 model has a mother-of-pearl dial decorated with a majestic inlaid rose. Blooming with a subtle palette of pink shades on the dial, the limited edition watch also dazzles with 121 diamonds. And if the lady loves LV then here are two watches from Louis Vuitton that promise to give time a new meaning this Valentine’s Day. The Tambour Monogram Saint Valentin is an eye-catching and delightfully feminine celebration of 2015 Valentine’s Day. The dial is adorned with intense red cerise, the color of passion and love, and inspired heart hologram. It is up for grabs for $4,200. 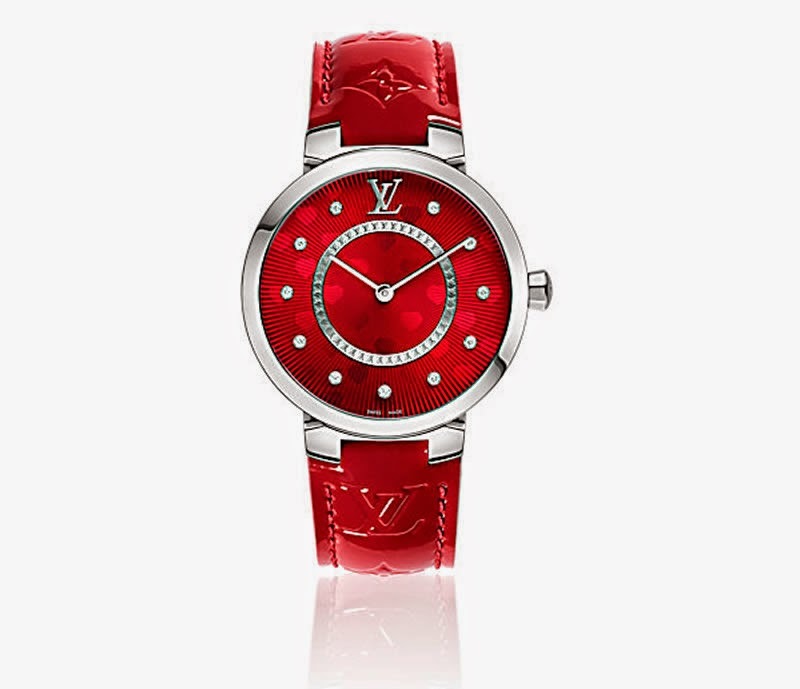 Louis Vuitton is considerate to offer small edition for delicate and petit wrists in form of Tambour Bijou Saint Valentin. Priced at $3,700, it is a refined token of love. 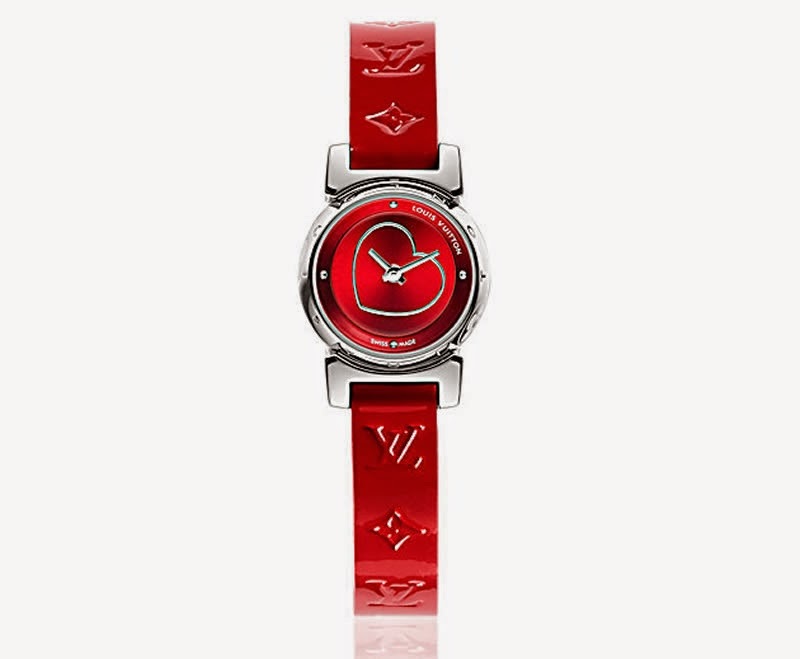 The intense cerise color and the striking heart symbol both dress up the dial and add an intensely feminine charm.